Independence Local Schools recognizes those individuals who go over and beyond and make a difference in other people's lives. They are extraordinary...unique... talented...and deserve to be recognized. 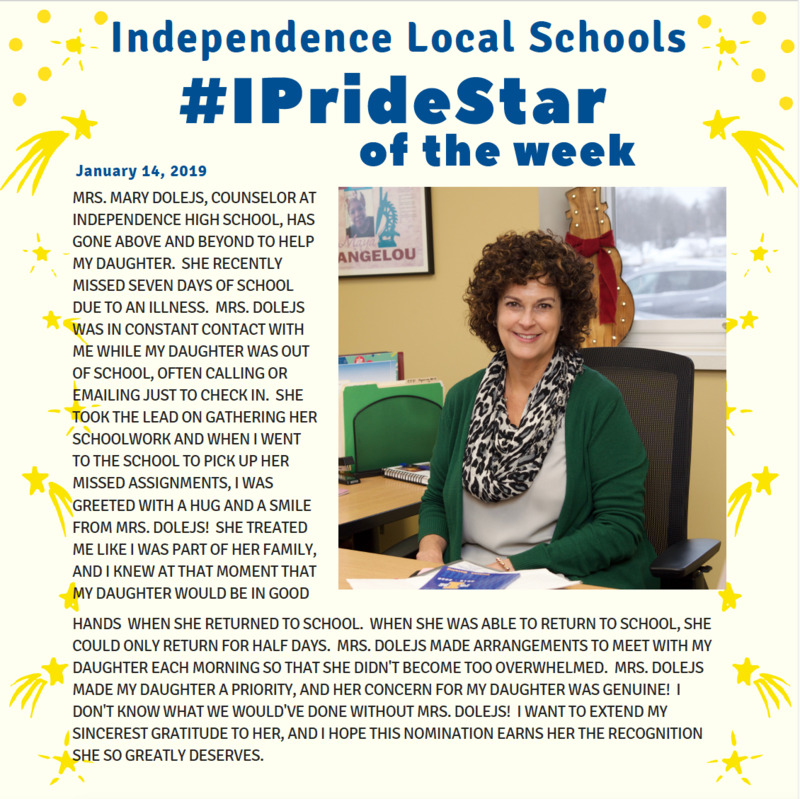 Meet our #IPrideStars of the Week! 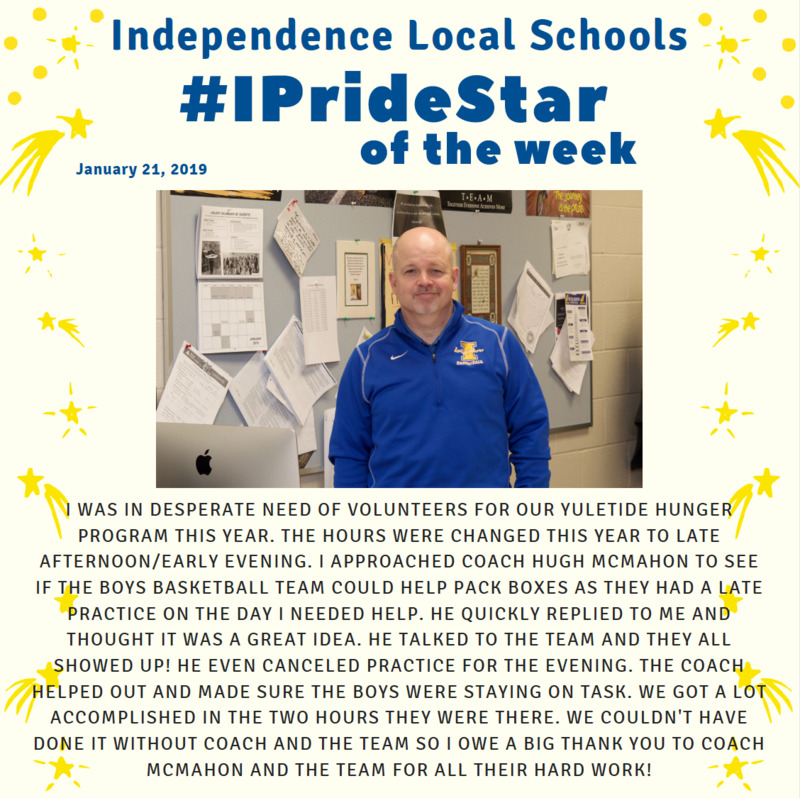 Through the Independence Local Schools Facebook page, we will introduce you to our IPride Stars. They can be students, teachers, staff, alumni, residents, businesses or other community members. We hope these individuals and their stories inspire you and bring a smile to your face. We will chronicle all of our IPride Stars using the hashtag #IPrideStar on Twitter and Facebook so be sure to follow! We are now accepting nominations for the 2018-19 school year. Click here to enter your nomination.